Finally able to get back onto some paddocks. Looks like alfalfa! Am I right? Right again. 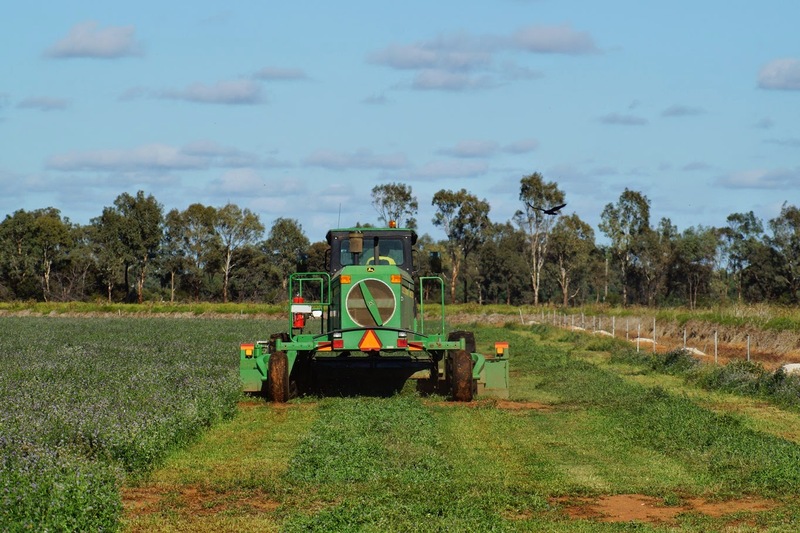 Yes it's alfalfa, commonly called lucerne in Australia. We are running behind with our cutting - hence all the flowers, due to a couple of weeks of wet weather. A big few weeks ahead of us now to try and catch up.